In Spring 2018, Willow Bend partnered with the Wind for Schools project, which aims to advance renewable energy and energy efficiency education and research initiatives from the K-12 through university levels statewide. 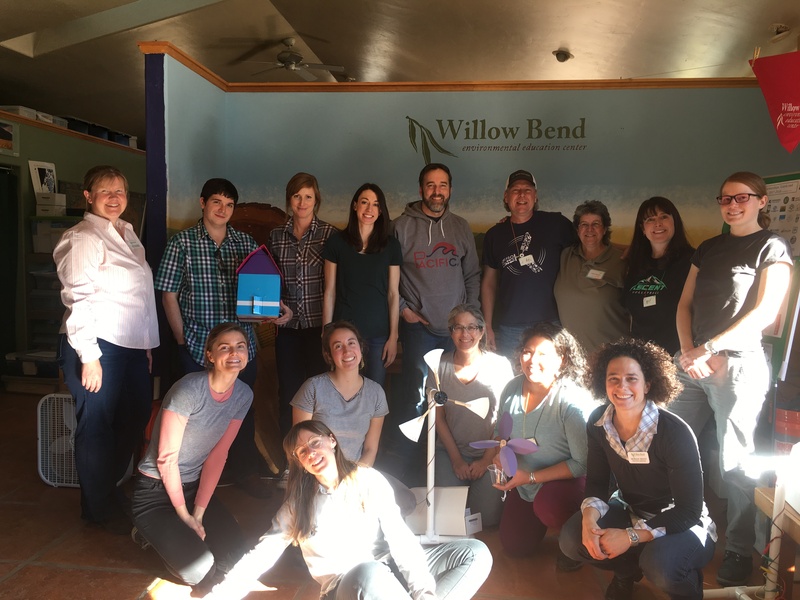 Through the Wind for Schools partnership, as well as support from the KidWind Project, the City of Flagstaff, and the Arboretum at Flagstaff, Willow Bend hosted a two-day teacher workshop on climate change and renewable energy for 15 Arizona educators. 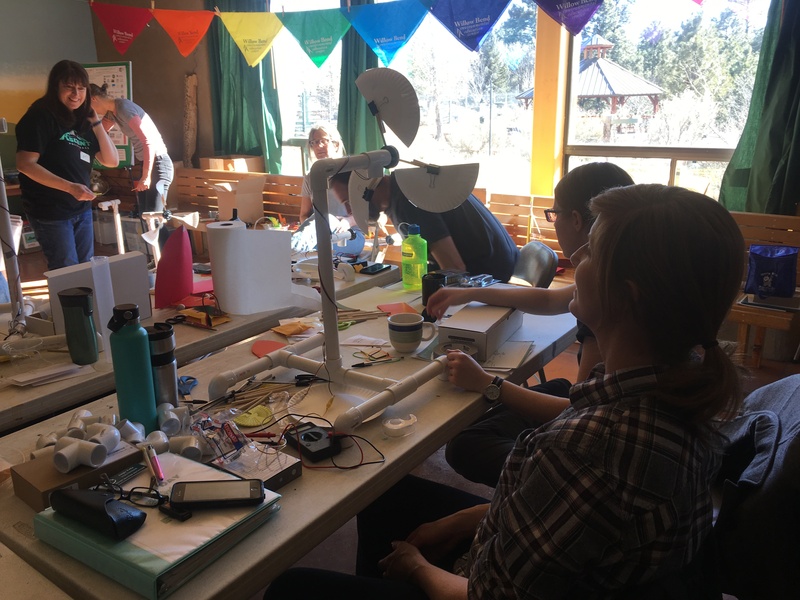 Teachers in attendance represented a wide range of education levels; there were pre-school, elementary, middle, high and even college educators that came together to learn wind and solar activities that could be adapted to their students’ grade levels. On the first day of the two-day workshop, the Climate Change portion was covered. Lee Bryant, Sustainability AmeriCorps VISTA member, presented the climate action tool kit, a handful of resources teachers can use in their classroom for teaching climate change. On Saturday, teachers returned and KidWind trainers Kathy Jackson and Buddy Grider introduced the KidWind Project and the KidWind Challenge. They demonstrated several wind and solar activities that teachers could easily do in their classrooms. Some of these activities included MacGuyver, solar fountains, sail cars, and blade design for wind turbines. Teachers wer e informed and encouraged to attend the Youth Climate Summit in April, a summit that will have Climate Action, KidWind, and Solar Structure Challenges, using knowledge they learned in the teacher workshop to help their students develop successful projects. Teachers were also showed where to access KidWind curriculum and were offered the opportunity for Willow Bend to visit their classrooms to assist teaching wind and solar activities. Teachers were also informed of Willow Bend’s wind/solar teacher checkout kits and the upcoming Recharge Academy in the summer. 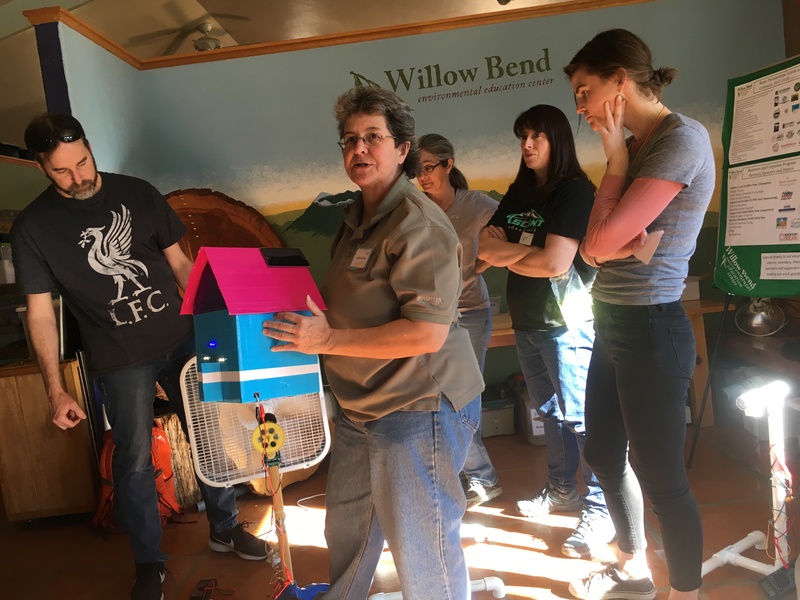 Willow Bend was thankful that Kathy and Buddy were able to visit Flagstaff to facilitate an engaging and experiential learning experience for so many wind and solar activities and concepts.